Rockford, Illinois is the third largest city in the state and its position near the Illinois-Wisconsin border and between Galena and Chicago has made it a strategically located city with deep roots in the manufacturing and transportation industries. Its population of over 150,000 has dwindled in recent years, allowing Aurora to surpass the city in population. This economically diverse city provides a home to the operations of numerous companies in the automobile manufacturing, aerospace and healthcare industries and its airport supports the operations of UPS’s second largest air hub in the world. When it comes to assisting people who have been abused and neglected in Rockford Nursing Homes, Rosenfeld Injury Lawyers LLC knows the facilities, the owners and the medicine involved in many of these cases. Contact our Rockford nursing home attorneys for a free case review where we can discuss your specific situation and legal options without any cost or obligation to you. The senior community represents a significant portion of Rockford’s population and the city is home to over 21,000 residents who are 65 years or older. An additional 5,000 residents are between the ages of 60-64 and nearing retirement. Retirees or those nearing retirement comprise 17.6 % of the population. There are over twenty nursing homes located throughout Rockford to serve the needs of this significant segment of the public. Competition often breeds quality as competitors must provide the best service possible in order to attract patients into their homes, but it also makes the process of finding the right home for your loved ones more difficult and frustrating. Illinois has witnessed an epidemic in recent years of nursing home abuse cases, many resulting in lawsuits. Many people who must place their loved ones in the care of a nursing facility have warranted concerns about the reputations of the homes they are considering. Negligence exists in multiple forms and is not always the result of direct abuse. There are numerous factors to consider that may be symptoms of nursing home neglect. When reviewing any case, a Rockford nursing home lawyer will consider the history of the facility and whether any of the following factors may have resulted in harm to your loved one. Environmental safety. A poor environment can be the result of clutter that poses a fall or tripping risk, poor maintenance of the grounds or improper measures to sanitize living quarters. Improper administration of medicine. When homes are understaffed, additional pressure is placed on caregivers who must divide their time between more patients each day. This can result in medication errors that can result in severe interactions or complications. Poorly implemented personal care plans. Every nursing care facility is required to create plans tailored to the needs of each patient that is cared for, but these plans are not always implemented in an efficient manner. Especially in cases where homes are not adequately staffed, patients simply don’t receive the attention they require. Evidence of physical, emotional or sexual abuse. While many cases of nursing home neglect are attributed more heavily to policy rather than direct acts by caregivers, there are some incidents of direct abuse in which a staff member will assault the patient. This is completely unacceptable and the offenders must be brought to justice. Whether you are currently looking to place your loved one in a nursing facility or need to relocate him or her due to abuse or neglect that are ongoing, the ratings provided by medicare.gov will help you make a more informed decision and alert you to concerns and recurrent issues that serve as red flags. Following are the prominent nursing homes in Rockford and their latest ratings. The Alden Alma Nelson Manor is part of the Alden nursing home chain and its current one star rating is worthy of concern. Its quality measures only received two stars and it has an extremely poor health inspection history. This is exacerbated by a poor staff rating that suggests the facility is run by a skeleton crew that is completely unable to attend to the needs of its patients. It is not advisable to consider placing your loved one in this home until it makes significant improvements. Like its sister home, this Alden chain home has received poor marks by medicare.gov, suggesting that nursing home chains present problems in general. It did score slightly better than the Alden Alma Nelson Manor with two stars, but there are still legitimate concerns over the quality of care offered, the environment provided for residents and the size of the facility’s staff. The facility has 189 beds which qualify for Medicare and Medicaid payments, but it would be wise to consider alternatives. The Alpine Fireside Health Center is a smaller, family run home that has a total of 66 beds which qualify for Medicare and Medicaid payments. It has maintained a five star rating over the last decade and has a small atmosphere accompanied by a five star rated staff. Facilities that are adequately staffed frequently score higher and such is the case with the Alpine Fireside Health Center. In addition to its Medicare and Medicaid beds, this home has 33 shelter care beds. The Amberwood Care Centre is a for-profit nursing facility that is currently advertising an ongoing renovation, but this may simply be in response to the poor ratings it has received. At two stars, the facility has a poor health inspection history and mediocre staff, which may be factors influencing the two star rating on its quality of care. To make matters worse, none of Amberwood Care Centre’s 143 beds qualify for Medicare or Medicaid payments. The Fairhaven Christian Retirement Center is a non-profit nursing home that exists as part of a continuing care retirement community. Its five star rating makes it an example for others in the industry to emulate and this nursing home has earned a perfect score in all areas. Non-profit facilities generally receive better ratings than their for-profit counterparts. The Fairhaven Christian Retirement Center has passed all health and fire inspections and has not incurred a single fine or been denied a Medicaid payment for over three years. While this facility does not have any beds available that qualify for Medicare, it does have 96 Medicaid beds and an additional 122 shelter care beds. Another for-profit nursing facility, it is evident that the Forest City Rehabilitation and Nursing Center values its margins more than those it serves. Its total rating is only two stars and the infractions incurred in its health inspections have resulted in numerous fines over the last three years. The facility has 213 beds that qualify for Medicare and Medicaid payments, but as punishment for deficiencies, some of these payments have been denied. The quality measures of this home were its only highlight— as they received a full five star rating. A skeleton staff that only received one star is likely to blame for the majority of this nursing center’s issues. The Presence Cor Mariae Center is a part of a non-profit nursing home chain owned by a religious institution which has received near perfect ratings. The primary complaint held was that it would not allow residents to refuse prescribed treatments. Despite this complaint, the facility has received a five star rating and has a skilled staff that is capable of meeting the specific needs of each patient. Over the last three years, the Presence Cor Mariae Center has not been fined or denied any government payments. 73 beds are available that qualify for both Medicare and Medicaid payments. This facility is the sister home of the Presence Cor Mariae Center, but does not live up to its sister’s standard despite receiving an above average rating of four stars. It received a complaint last year regarding medication errors and had a small number of cases in which patients developed pressure ulcers. The number of residents impacted by these concerns is low, but they are still noteworthy. Nonetheless, the facility has still performed well enough to avoid fines or declined government payments. 179 beds are available that qualify for Medicare and Medicaid payments. River Bluff is a government owned nursing center that has maintained a four star rating with medicare.gov. The primary concerns that have left blemishes on this facility are that it failed to adequately prepare and serve food to residents and ensure that their living environments were free of clutter or fall hazards. Both of these concerns are red flags that should be noted when considering placing your loved one in this home. This facility serves a larger segment of the senior population. It has 304 beds that qualify for Medicare and Medicaid payments. The size of homes and problems experienced are usually proportional and smaller homes tend to provide better care. Rock River has earned the designation of special focus facility by U.S. News & World Report due to its history of neglect and abuse. Its overall rating of two stars is the result of numerous health inspection deficiencies, an inadequate staff level, inability to keep the environment free of fall hazards, failure to provide adequate nutrition and inattention to hygienic matters. These concerns have resulted in multiple cases of nursing home abuse and Rock River Health Care has been received fines in the amount of nearly $190,000 over the last three years. The government has also repeatedly declined to provide payments for its Medicare and Medicaid qualified beds during this time due to poor care. As is common with nursing facilities that are poorly rated, this facility’s staff received low marks. This pattern makes it all too clear that for-profit nursing centers need to be required to meet staff levels deemed sufficient to provide quality care. Hiring and training additional staff can minimize the chances that this facility is involved in a nursing home abuse lawsuit. The Rosewood Care Center of Rockford is part of a nursing home chain under the same name and while nursing home chains typically provide care at a substandard level, this facility has received four stars. Its primary detractors are a history of medication errors and violations of food safety standards. Unlike most for-profit homes, the Rosewood Care Center of Rockford received a five star rating for the adequacy of its staff. 116 beds are available that qualify for both Medicare and Medicaid payments and this facility has not been subject to any fines or penalties over the last three years. The Villa at Pennsylvania Peterson is a non-profit care facility with a mediocre rating resulting from a history of deficiencies found during routine health inspections. None of these issues have resulted in penalties, but they are enough to raise concern and highlight the need to investigate the history of non-profit facilities as thoroughly as their for-profit counterparts. Some of the issues cited seem to be administrative such as the improper management of patients’ monetary deposits with the home, but there have also been complaints by residents that the environment contained fall hazards and that food was handled in a sanitary manner. There are 129 beds available at this facility that qualify for Medicare and Medicaid payments. The Willows Health Center is a non-profit nursing facility with an impeccable record and five star rating all around. Its last health inspection revealed only two deficiencies. The average number of deficiencies for the state and nation are 7.6 and 6.8, respectively. The small size of the facility and a well trained staff with numbers sufficient to tend to the needs of each patient are major contributing factors to its rating. 42 beds are available at the Willows Health Center that qualify for Medicare and Medicaid payments. Even the most reputable nursing care centers must strive to make continuous improvements in an era where nursing home neglect and abuse are beginning to run rampant. If you suspect your loved one is the victim of mistreatment or neglect, it is important to discuss the matter with a Rockford nursing home attorney and form a plan to remove your loved one from his or her current environment and to obtain justice from those responsible for the abuse or neglect. 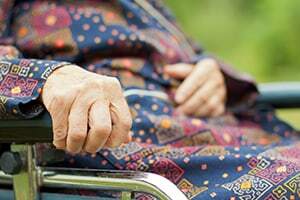 Rosenfeld Injury Lawyers LLC represents nursing home clients throughout the State of Illinois and our nursing abuse team has defended the rights of hundreds of clients who have been neglected or abused by those meant to provide their care. Our primary concern is the wellbeing of your loved one and removing him or her from a negative environment and our team can assist you with this transition. Seeking compensation from the negligent home will cover the cost of treating injuries and out of pocket expenses you or your loved one have incurred because of the abuse. Contact us today to arrange a risk free consultation so we may review your case and discuss your legal options. If we are unable to secure compensation on your behalf, our resources and services will come at no cost to you. When settlers from New England began to travel west, two settlements were founded on opposite sides of the Rock River, from which Rockford would eventually gain its name. Germanicus Kent and Thatcher Blake founded the settlement of Kentville on the west bank as Daniel Shaw Haight established Haightville on the east side of the river. The two settlements soon gained distinction as one entity called Midway, but the name wouldn’t last, as the settlements were located near a ford on the Rock River. Rockford was the name given to the town by settlers and by 1837, Midway was officially renamed. The town of Rockford was deemed the county seat and presided over Winnebago and Roscoe— two developments at odds with one another. Much of the early growth of the city could be accredited to the founding of the Rockford Female Seminary, of which Jane Addams would later become a graduate. The Seminary became Rockford College soon after and expanded its curriculum to serve more students. As the railroad gained prominence, Rockford would receive a connection along the Galena and Chicago Railroad. This development would establish the city as an industrial center and over time, Rockford would become renowned for its production of agricultural machinery and furniture. The Rockford Union Furniture Company became the second largest manufacturer of furniture in the United States and the home of its founder, John Erlander, is a modern day museum in honor of his accomplishments. Throughout the course of history, Rockford served as a strategic asset to the military. One of the first regiments mobilized in Illinois during the Civil War was from Rockford and the city was home to Camp Fuller, which trained an additional four regiments. President Theodore Roosevelt visited the city in 1903 for the dedication of the Winnebago County Veterans Memorial Hall and later on, Rockford would be home to Camp Grant, which would train soldiers during World War I. During the early 1900s, Rockford would welcome multitudes of immigrants which would in turn strengthen its industrial roots. Following World War II, however, Rockford began to experience a decline due to its reliance on manufacturing and needed to diversify its economy. This transition was aided by the construction of the Northwest Tollway. By 1965 Rockford had created a new campus for the Rockford College, founded the Rock Valley College and courted Chrysler, which set up an assembly plant in Belvidere. Economic divisions have given the impression that Rockford is in fact two separate cities— East and West Rockford. The east and west regions differ greatly; the affluent east side of the city is home to wealthy white collar workers while the west side suffers from economic hardship, lack of access to public services and crime. Rockford was home to a controversy in 2002 in which a court ordered $250 million in upgrades to schools in the city following allegations of discrimination against the African-American population. The Great Recession exacerbated the economic divide and has since fueled a decline in population fueled by the evictions of residents who were unable to keep their homes. One out of three mortgages in the city was underwater by 2012 and the city suffered an unemployment rate of almost 13%. Forbes recently declared the city number three on its list of America’s Most Miserable Cities. As other cities in the Rust Belt, Rockford is recovering from manufactural decline in the United States and its overreliance on industry in the past precipitated many of its current economic problems. The Chrysler Belvidere Assembly Plant employs over 4,700 Rockford residents and the Swedish American Hospital, Rockford Health System and OSF Saint Anthony Medical Center provide the majority of jobs in the medical sector. Additionally, UPS operations out of the Greater Rockford Airport have provided over 2,000 jobs.